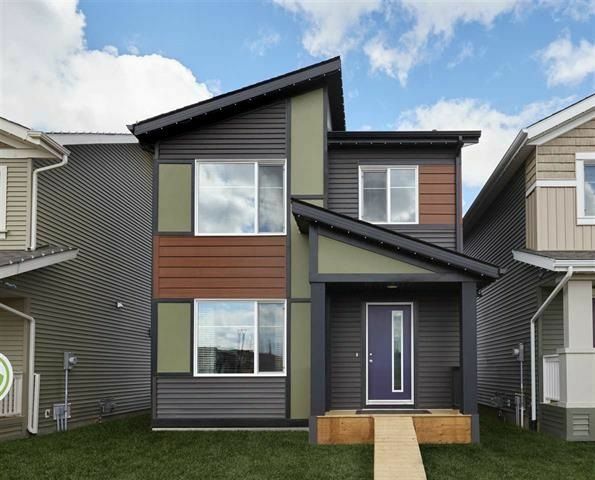 Welcome to the beautiful and modern designed townhomes in the community of Paisley! This Beautiful 1203 square foot, open concept townhome features 3 bedrooms, 2.5 baths and double attached garage. The main floor of this home boasts large, picturesque windows that allow natural light to wash over the gorgeous kitchen with eating bar, dining area and great room. Moving upstairs you will find your master retreat with en-suite and walk-in closet, second and third bedrooms and an additional bathroom. The home comes with quartz counter tops in the kitchen and high end LVP and LVT flooring throughout the main floor! Other features of this home include a private fenced and landscaped front yard, spacious balcony and a 5 piece appliance package. The community of Paisley provides easy access to golfing at Jagare Ridge, walking trails, ponds, and a playground. Ellerslie and Windermere are both easily accessible for your shopping conveniences. Located minutes from the Anthony Henday, this home is a must see! !